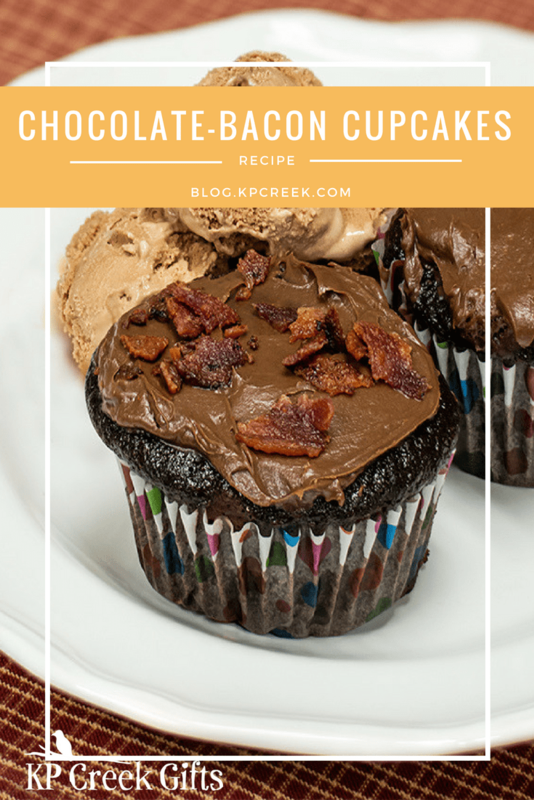 Browsing through our Gooseberry Patch cookbooks, I found an interesting recipe for chocolate-bacon cupcakes in Our Favorite Bacon Recipes cookbook. It seemed weird, and different enough that I had to try. I mean, who doesn’t love chocolate? Who doesn’t love bacon? It’s the perfect mash up! Hindsight is 20/20 right?! Well I have a few tips for you so you won’t make any of the same mistakes I did! Well, they aren’t really mistakes at all, but just things that I didn’t think about or consider. Everything still turned out delicious! So here are just a few tips and reminders! Use a LARGE bowl. The directions say to mix in a large bowl; seriously, make sure it’s large. The bowl I used was on the verge of being too small. Things got dicey at times when mixing! I mean look at how full that bowl is! 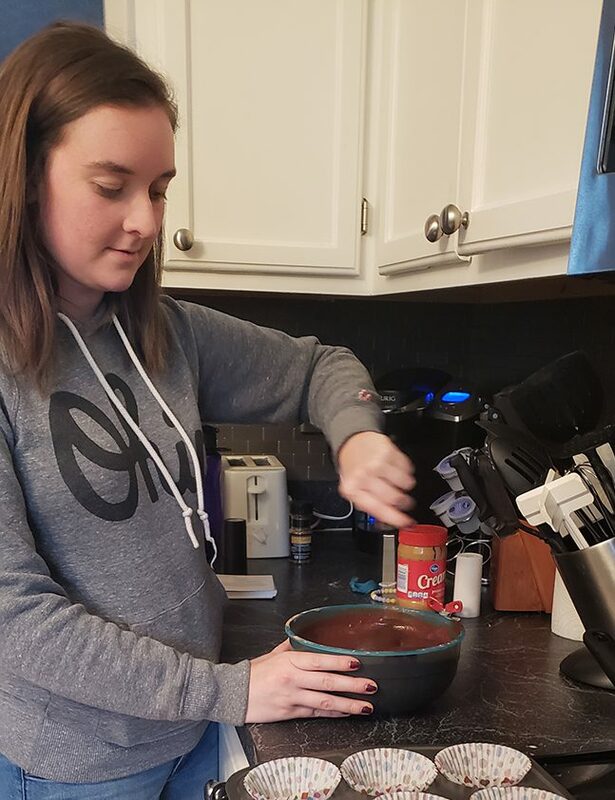 That’s my friend Keely, she came and assisted me because baking with a busy toddler isn’t easy! And Isabella was being exceptionally “toddler-like” that day; so the extra help was much appreciated. DON’T FORGET ABOUT THE COFFEE! I forgot about it. So I had to make a quick cup, stick an ice cube in it, and put in the freezer to cool. When ideally, you make it before you start to get all your ingredients around. More bacon, please! So 12 slices does sound like a lot. But two dozen cupcakes is a lot too. 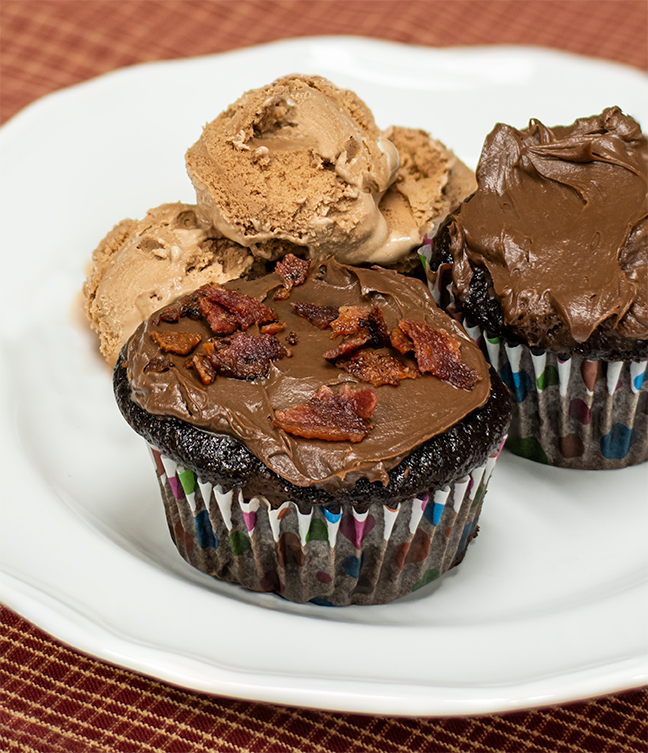 I only garnished about half of the cupcakes with bacon and left the rest just frosted. Invite friends. Seriously, share the cupcake bounty. Maybe it was the size of my tin, but this made enough batter for more than two dozen. Have a good scooper. That sounds weird, but pouring the batter was messy. I eventually pulled out a little pouring measuring cup that came with my waffle iron. Things were still messy but it gave a little more control. Have crayons and books on hand for little ones! This is how you keep an active toddler busy and in one place when you try to get things done in the kitchen! But I am still new to this and would welcome more tips on keeping a kiddo busy while trying to be a master chef in the kitchen! 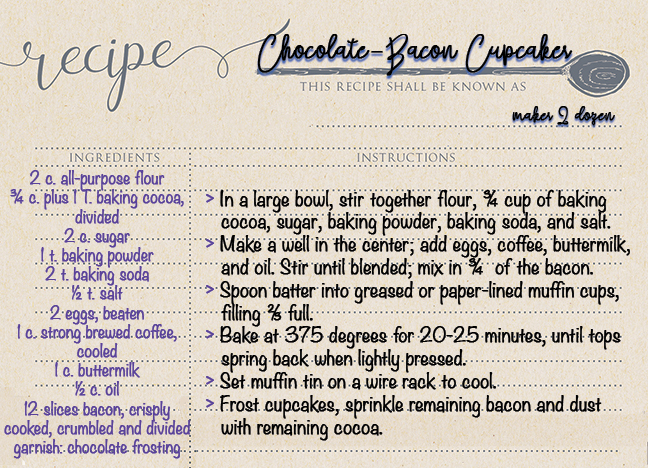 I know that I am going to need to mix it up! And don’t forget to subscribe to Notes from the Creek so we can stay in touch with additional info and inspiration!